With the beginning of New Year (2013); introducing yet another breathtaking invention from the house of HERTIG! HERTIG Eletop metal Pens; Superior and fresh design fashioned for every individual. 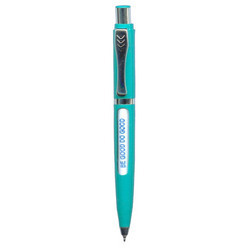 Promotional Massage pen design will depend on stock. 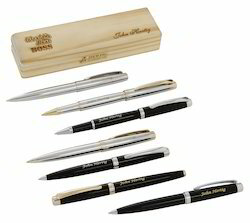 With the support of expert team and prosperous industry practice, we offer an exclusive collection of Message Pen. NOORANI IT Solutions Pvt. Ltd.